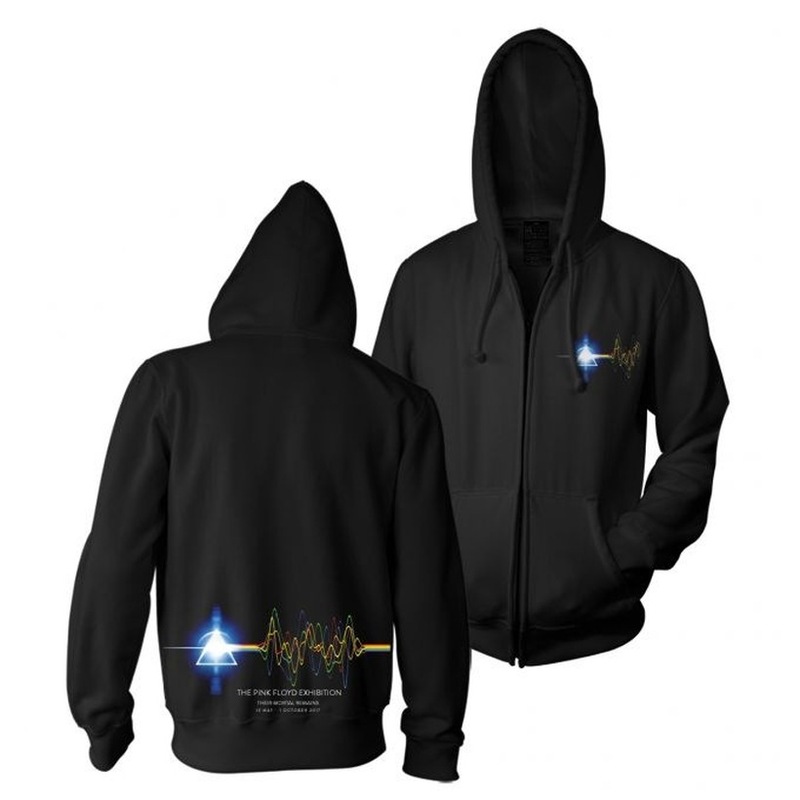 Black zip-up Pink Floyd Exhibition hoodie with "Their Mortal Remains Exhibition" logo on front and back. i like it. it was shipped within 3 days of order. i felt it was not packaged very well, just a plastic bag, glad it made it with no damage cause most likely would have been difficult to file &amp; get a damage claim approved. the graphics are well done, blends well to fabric, not a cheap thick transfer, colors are great. like everything else pink floyd, it has a certain quality of effort &amp; final product.